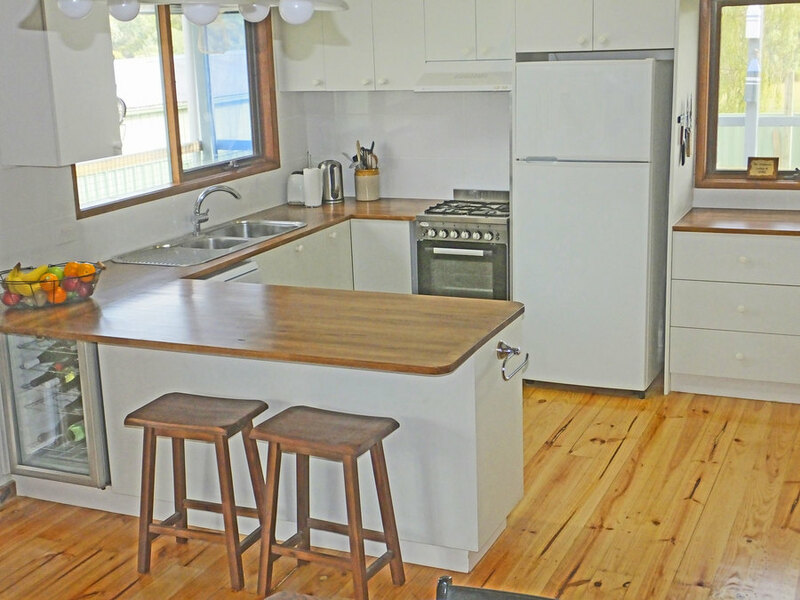 This self-contained holiday home has soaring cathedral ceilings, polished boards, quality furniture and appliances with modern conveniences such as ducted air-conditioning, ducted heating or wood heater, dishwasher, oven, microwave, TV, DVD, music system and washing machine. The kitchen, dining and living room are all placed a great room. There are fully covered deep verandahs around two sides of the house, with outside furniture and a gas barbecue. The house sleeps a maximum of 5 people. 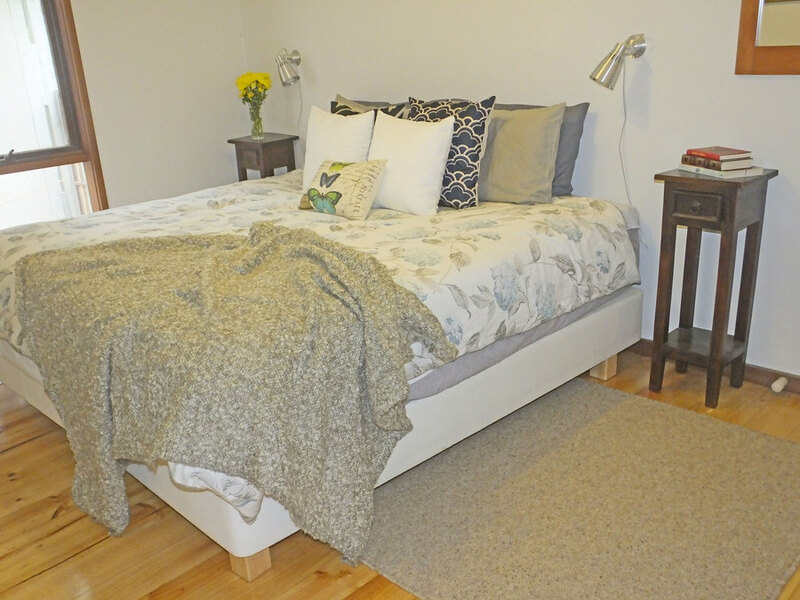 Two bedrooms have king size beds (but can be split into singles). The third bedroom contains a single bed. Quilts, linens, towels and pillows are provided. 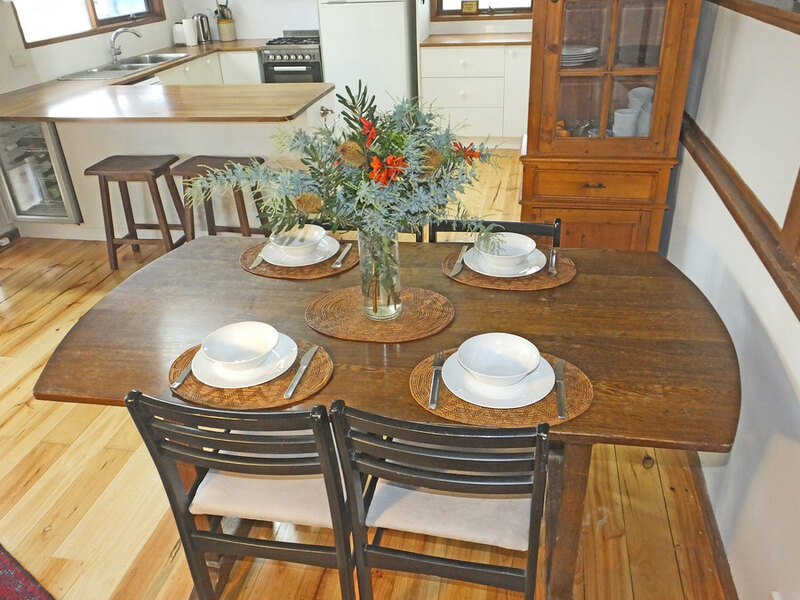 Up to 3 people booking will have access to tow bedrooms and one bathroom, but 4-5 people will have access to three bedrooms and two bathrooms. 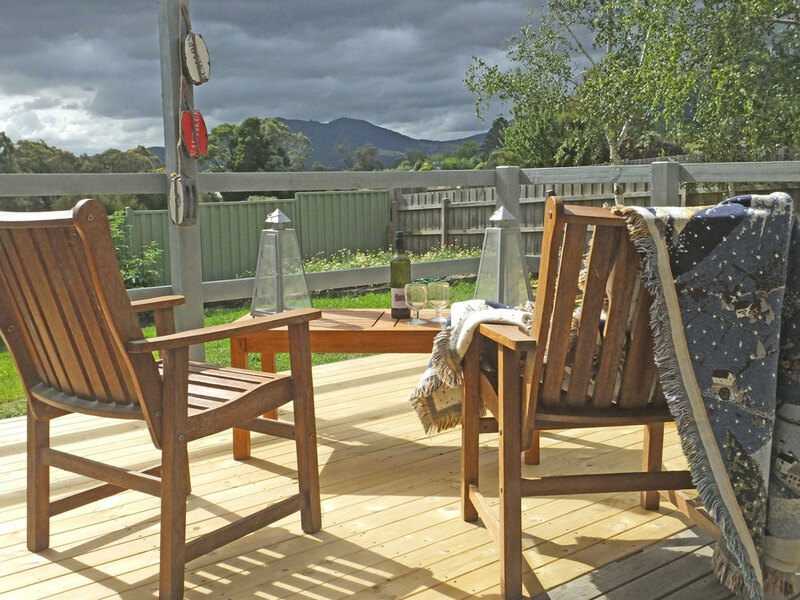 Yarra Junction is a village with a supermarket, butchers, bakeries, gift shops and several cafes situated close to many wineries. 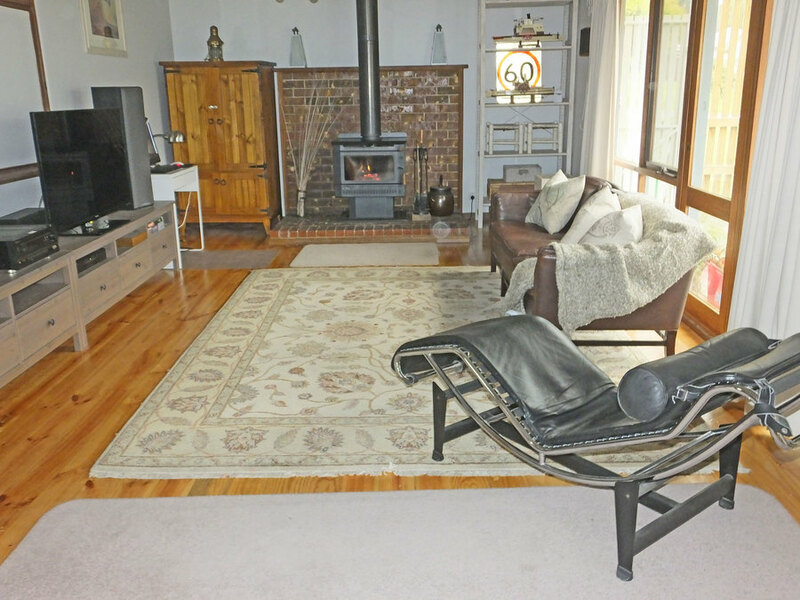 The location provides easy access to Warburton, Healesville, Yarra Glen, Gembrook, Poweltown, and Noojee, for example. Highlights Healesvile Wildlife Santuary, Puffing Billy Train, Hot Air Ballooning. Many restruants and wineries. Small hamlet in a rural area. There are many wineries nearby, historic towns and villages complete with markets every weekend. There is boating, fishing (quite a lot of trout fishing possible - licenses and gear availble nearby), horse riding and other sporting activities including the safest sky diving in Victoria. Skiiing not too far away in winter. Huge annual antiques fair nearby in October. Quite a lot of art and craft activity in the area with galleries and small boutique shops also. Restaurants and caes in nearby villages and towns. This area was one of the first settled in Victoria, hence the historic nature. Close to the birthplace and village of Ned Kelly. Around the house is the remnant of a landscape that does not exist elsewhere anymore with some rare fauna which is easily seen around the house. Beds can be made up as two kings or 4 singles or any combination. 2km off the main highway from Melbourne to Sydney (but no highway noise).